How can you reach artistically and community-minded Southern Californians for an entire month? Become a Big Draw LA Sponsor today and join our growing network of supporters! Become a Sponsor of Make Your Mark in the Park, the flagship event of The Big Draw LA. As a sponsor, you will reach a wide audience of community members including families, teens, and adults across Southern California while demonstrating your support for the arts. The Big Draw LA, a month-long initiative presented by Ryman Arts, is part of the international drawing celebration The Big Draw taking place in countries around the world in October. Join Ryman Arts and a consortium of Southern California’s community organizations for the 8th year of this initiative. The Big Draw LA creates participatory opportunities for people of all ages to have fun and discover that drawing inspires creative thinking and helps us communicate with others. After launching the inaugural The Big Draw LA in 2010, participation has more than doubled with 10,000+ Southern Californians taking part during the month. 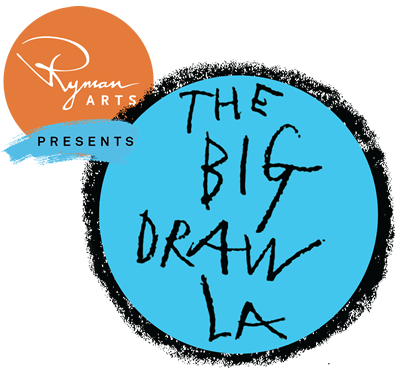 Organizations are invited to sponsor, organize, or host a The Big Draw LA event. Ryman Arts and Grand Park team up to present Make Your Mark in the Park, a fun-filled, creative celebration of drawing, bringing together community members of all ages to participate in an array of hands-on, collaborative drawing activities. During this event, Grand Park is transformed into a giant experimental drawing studio, with drawing activities led by Ryman Arts students. Flagship Event: Sponsors have the opportunity to have a presence at The Big Draw LA's flagship event “Make Your Mark in the Park” at The Grand Park in Downtown Los Angeles in October. Last year’s event, was attended by approximately 3,000 individuals. Target Audience: We can also arrange fun and unique drawing events involving your employees in your local communities. 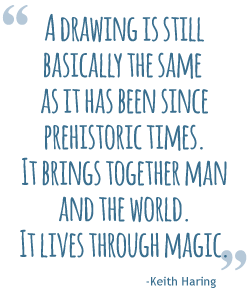 We are seeking a core group of The Big Draw LA sponsors to support the initiative. Sponsorships are $2,500 and can be customized to fit the needs of your organization. We are also accepting product sponsorships, with our greatest needs being: food, refreshments, and art supplies. For Corporate Sponsorship Levels and Benefits, please click here [PDF]. Contact: Shannon Huang, shuang@ryman.org or Rebecca Tuynman, rtuynman@ryman.org, 213.629.2787.